Kathryn Beich Katydids are brought to you by Great American. 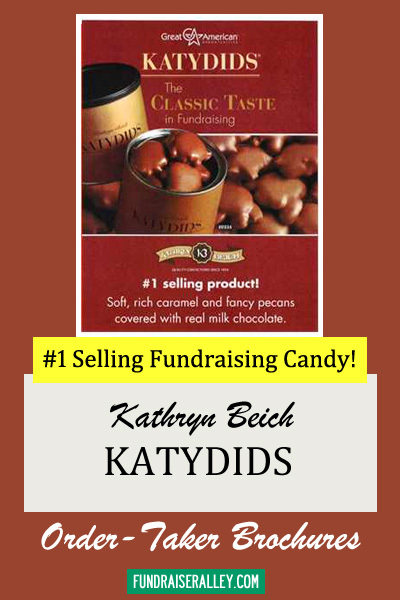 Katydids candy is their #1 selling fundraising product! 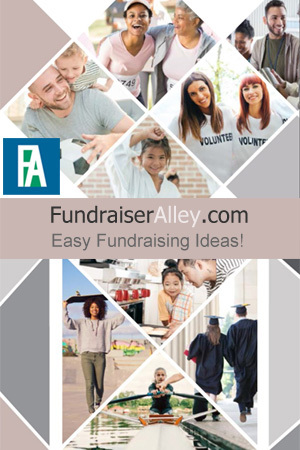 You can’t go wrong with this fundraiser. It’s great for any size group or school. A perfect idea for a Church, Sunday School class or Women’s Club. Katydids are made with a buttery caramel and fancy pecans, and covered in milk chocolate. They are packaged in an 8 ounce resealable tin. We recommend Katydids Order-Taker for Schools, Churches, and Clubs. 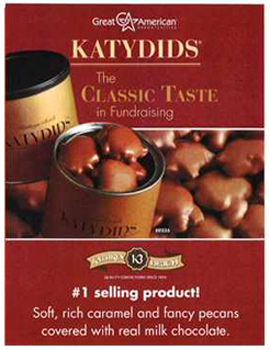 There is only one choice on this brochure: Katydids Tins, selling for $14.00 each. And, they are irresistible!